I am sure you have been overwhelmed with all the promotion of the Nordstrom Anniversary Sale. I love checking out others blogs to see what they bought - and what their picks were. Here is what I bought - as well as deals under $25 from the sale. 2. I bought this long cardigan. I can wear it to work - and feel more dressed up with jeans. 3. I couldn't decide on which color to get on these short ankle booties. I hope I like the color I picked. 4. I bought the updated ribbed version of this cardigan this year because liked the other one so much last year. 5. I bought this shampoo/conditioner set - I love the smell of it so much and it makes my hair so soft. 1. This striped pocket tee that is only $19. 2. This shaper makes everything smoother when I wear dresses - I can't believe what a good deal it is. 3. This fun leopard scarf is only $12. 4. This v-neck sweater that comes in a pretty blush is under $25, and comes in five other colors. 5. These six little lipsticks are only $25. 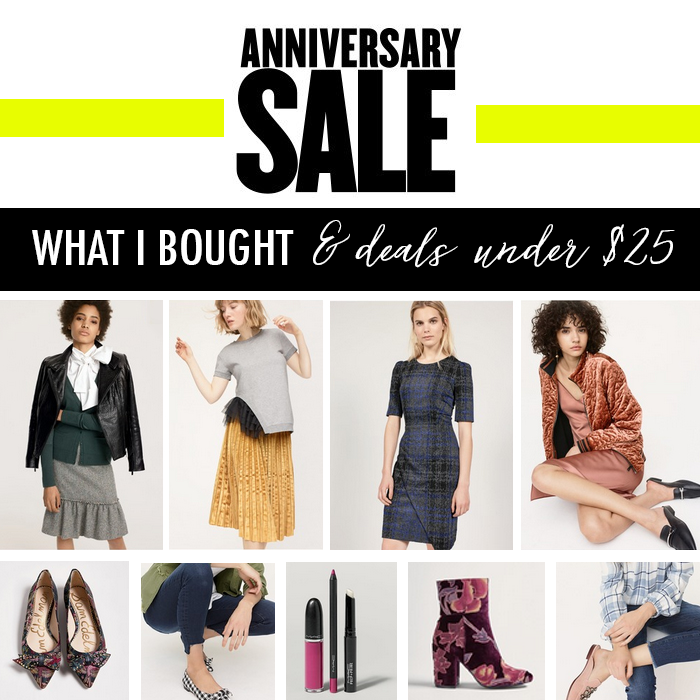 Just in case you missed it - yesterday I shared my top picks of the Nordstrom Anniversary Sale.